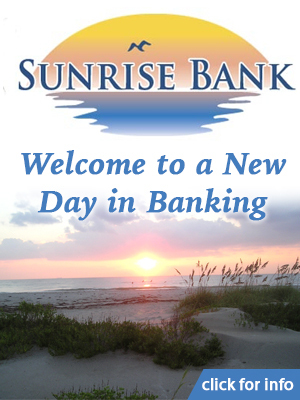 The Cove Merchant’s Association is a non-profit organization whose primary goal is to market local businesses in Port Canaveral, the heart of Florida’s Space Coast. 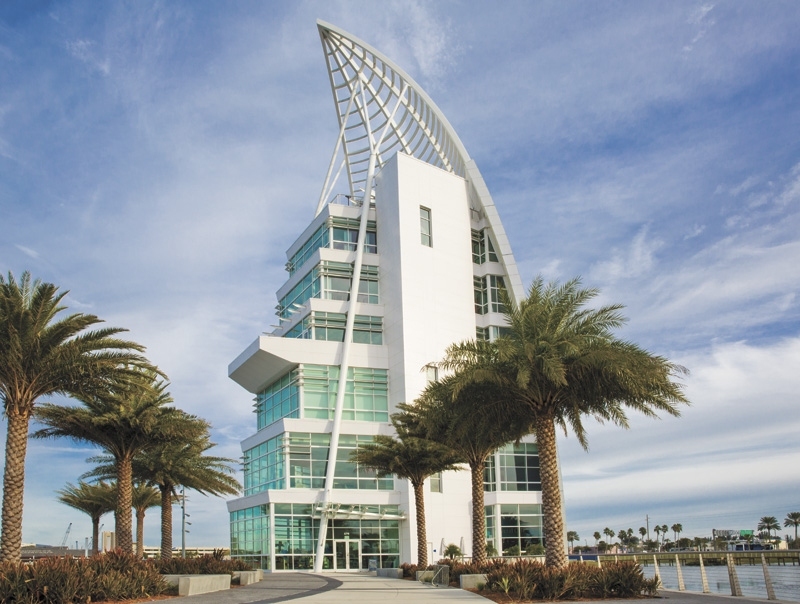 The Cove in Port Canaveral is a waterfront destination for tourists and locals alike. 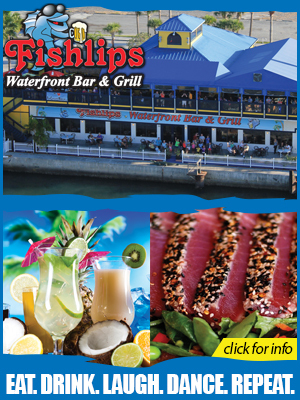 You can enjoy a wide variety of bars and restaurants, charter boats, shops, attractions, and live entertainment. Our local restaurants provide a variety of menu choices from finger foods to full-course dinners. Seafood is a specialty, with the day’s catch going directly from the dock to the restaurant kitchens. Watch on as commercial fishermen unload fresh seafood from their boats. 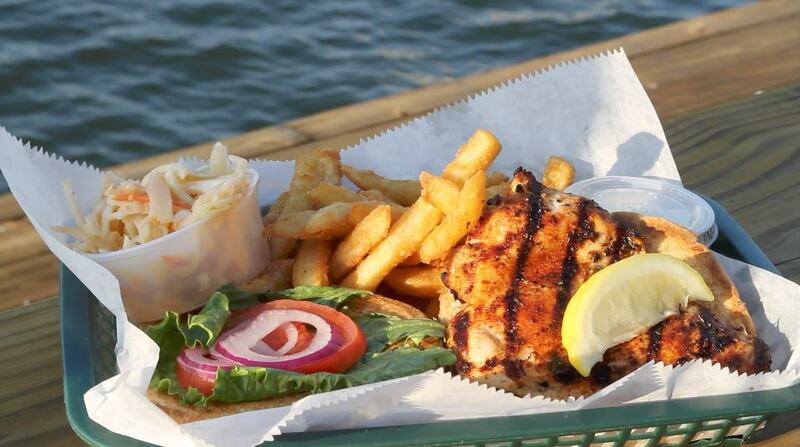 You can even buy your own seafood here at Port Canaveral to take home. 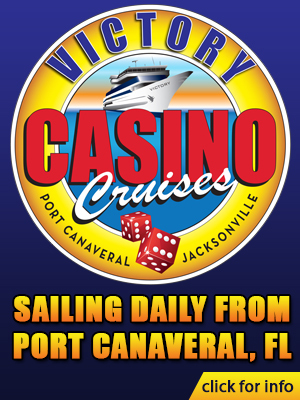 Several of the area’s most popular annual events are held in The Cove at Port Canaveral. Thunder On Cocoa Beach Space Coast Super Boat Grand Prix is one of Super Boat International’s most popular and anticipated annual events. 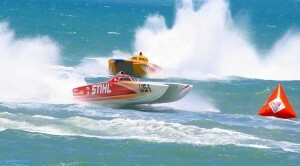 Held right here on the Space Coast and staged in Port Canaveral, the event kicks off the Super Boat International season. 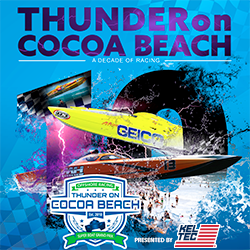 During this fun-filled event the third week of May, over 100,000 people pour into Port Canaveral and Cocoa Beach to watch their favorites like Miss Geico, Stihl and Broadco battle it out in the rough waters of the Atlantic at speeds close to 200mph. This event feature 5 days of parties and race related activities that are all open to the public. For more information click here. 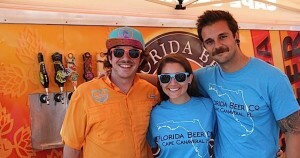 The Brewmasters Invitational Beer Fest is an annual craft beer festival that features beers from not only local Florida breweries but from breweries all over the world. The event offers guests the change to experience unlimited tastings of over one-hundred beers from more than 50 breweries. Food trucks are on hand for beer lovers who want to pair their tastings with some fabulous food fare. The Brewmasters Invitational Beer Fest festival also features several of the area’s top artists, local musicians, vendors booths, lawn games, giveaways and prizes. The event takes place in the beginning of Spring each year. For more information visit BrewmastersInvitational.com. 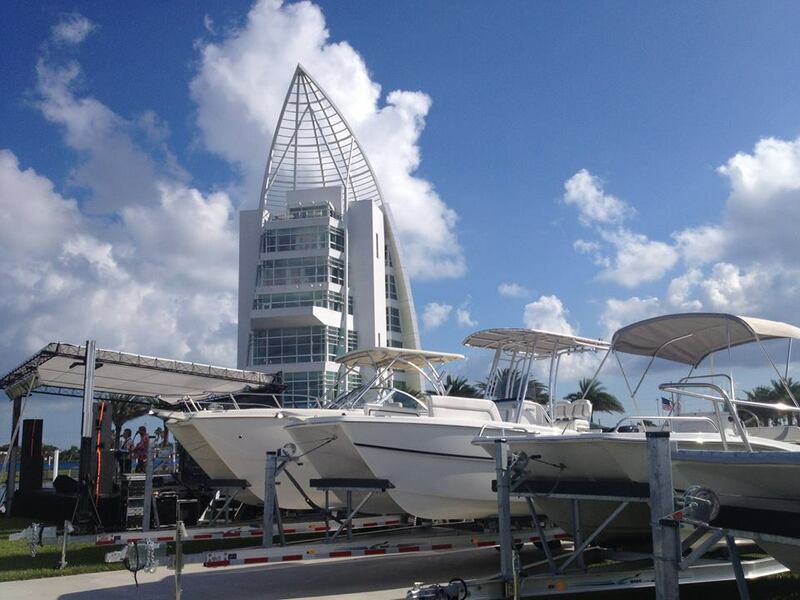 The annual East Coast Boat Show draws thousands of visitors to the Port every October. This boat show is unique in the fact that it not only showcases many of the top new model year boats but older models and used boats as well. The event also has music, food, vendors and a large kids zone. The event has something for everyone. Kids under 12 are always free. For more information click here or visit EastCoastBoatShow.com.